Alan Bennett’s third collection of prose, Keeping On Keeping On, follows in the footsteps of the phenomenally successful Writing Home and Untold Stories, each published ten years apart. This latest collection contains Bennett’s peerless diaries 2005 to 2015, reflecting on a decade that saw four premieres at the National Theatre (The Habit of Art, People, Hymn and Cocktail Sticks), a West End double-bill transfer, and the films of The History Boys and The Lady in the Van. The book includes Denmark Hill, a darkly comic radio play set in suburban south London, as well as Bennett’s reflections on a quarter of a century’s collaboration with Nicholas Hytner. 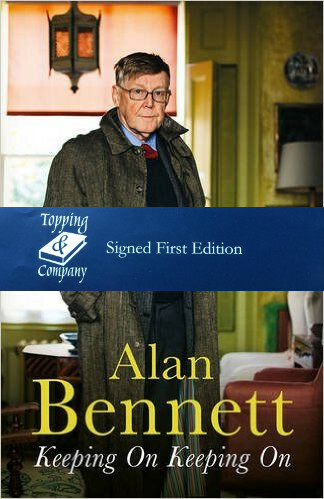 This is an engaging, humane, sharp, funny and unforgettable record of life according to the inimitable Alan Bennett.